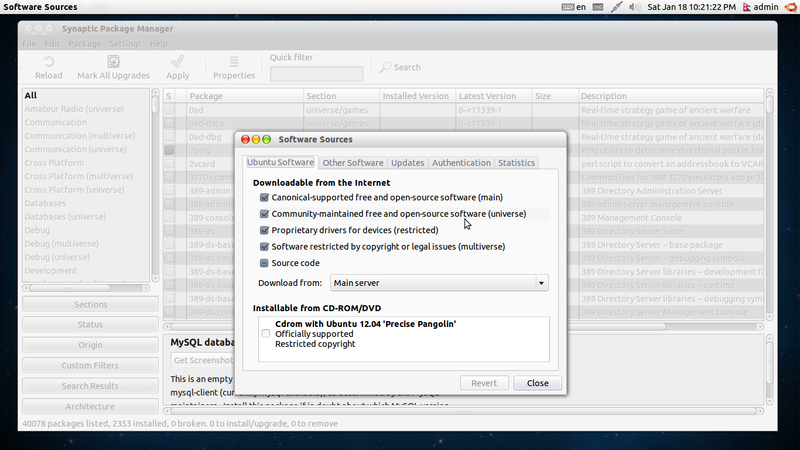 I new to Ubuntu, and have just installed Synaptic. I want to Know how to use it for downloading packages and and software.Please help. Synaptic Package Manager is used for installing debian packages and not for downloading source code of a particular package.To install a package through synaptic follow the below steps. Open synaptic package manager from Dash. Search for the package you have to install. 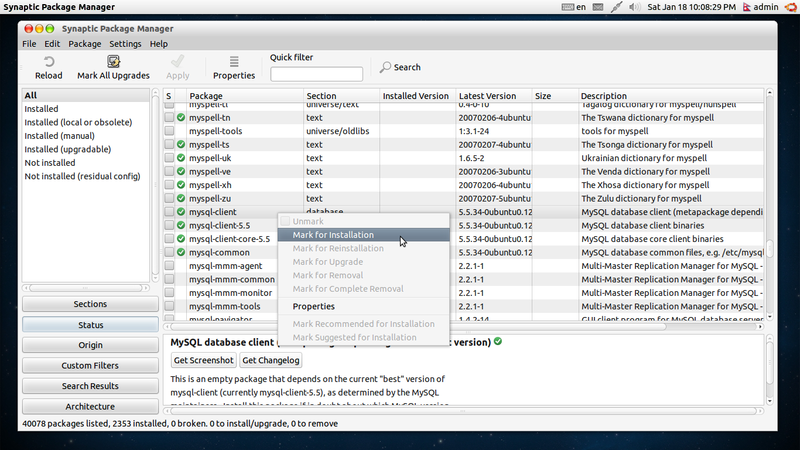 After finding it,right click on it and select Mark for installation.And select Apply. Package will be installed successfully. Since you've just installed it, from the menu select Settings -> Repositories and under Ubuntu Software select the repositories like main, universe, restricted and others and close the window. Then click Reload to reload the package list; after the reload is complete you can search for the packages and install them. 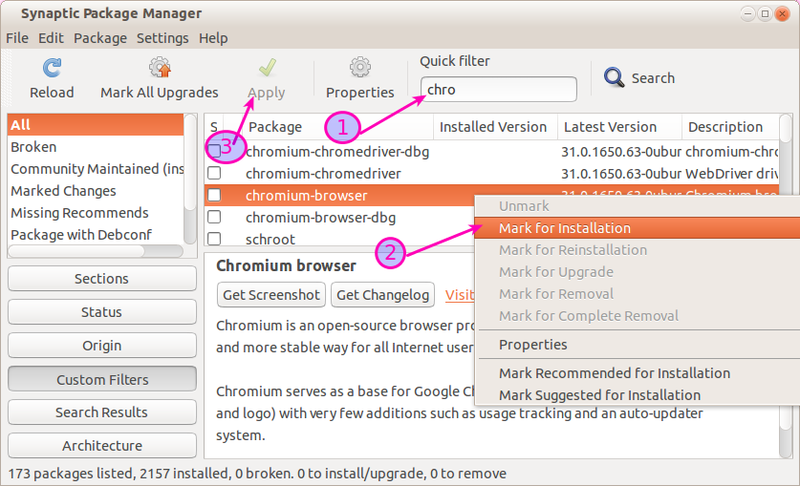 In the synaptic package manager right click the package you want to install and select Mark for Installation then click Apply. You can use Search, Quick filter to look for the packages with key words. Click the Sections tab to get the categorized package listing, select any category you want and you can not only get a list of applications but descriptions and more. How to open the Synaptic Package Manager in Unity?